just need a small nuclear reactor and one of these..
"Related products" at the bottom of the page are a bit irrelevant, they need to work on that. EDIT: Jaycar's 404 page is concerning. I might not be able to pick up my items tomorrow. Wow you don't even get a discount for bulk ordering. What a rip off. At least it has a datasheet. I tried dipping a 0.1uF/250v into rosin paste. No effect. I then sprinkled it with borax powder. No effect. I then tried putting it between two neodymium magnets. In all cases the clock on the wall stayed the same. Have you tried increasing the voltage? I seemed to have gotten the clock to stop! Dough, out of stock. It looks like one of you lot got the last one! I have had some terrible overheating experiences with these. I would strongly advise that you purchase a 10 gallon Dewar bottle and fill it up with LN2 to properly cool the device. And I know, I know: Liquid Helium is better. Awe, I liked the DeLorean.. Plenty. Some have even had the wheezy old PRV replaced with a Renault Turbo version. There's two of them in driveable state about 20 miles from where I live in a town called Frodsham, owned by a mechanic. I met one yesterday when I drove from work, just like that out in the wild. This was in Gothenburg were I live. That's in Sweden btw. Not something you see every day, not every year either for that matter. I saw a DeLorean go by the other direction a few weeks ago. A couple years back I parked next to one at the grocery store and got a close look at it. A friend of mine owned one for a while some time back but that was before I really knew him. He tells me it was disappointing to drive but it sure did look cool. Of all the engines they could have used I'm really not sure why they went with that PRV. Volvo used the same motor in a few models, it was less powerful, less reliable, and more thirsty than the turbo inline-4. The PRV V6 was a strange odd-fire engine with a tendency to leak oil and coolant, eat camshafts and strip intake manifold studs. The first time I saw a PRV-equipped Volvo 760 my first thought was it looked like someone had performed a poorly thought out engine swap. The DeLorean weighed nearly as much as the stately Volvo which was certainly not intended as a sports car, and really needed another 100 horsepower. There's an entire Delorean parts warehouse somewhere, saw it on TV. The PRV V6 was a strange odd-fire engine with a tendency to leak oil and coolant, eat camshafts and strip intake manifold studs. During the 760 production Volvo upgraded the motor significantly (the B280 vs b28) and they sorted out the head lubrication (to stop it lunching camshafts). They also change the crank and made it an even-fire motor, which smoothed it out considerably. Still not a great example of a motor, but the B280 would be a fairly easy upgrade into a Delorean for a bit of extra oomph and better reliability/driveability. When I was little my dad had a Volvo 265GLE with that engine, it was only a few years old and it sounded awful, I think the cam had worn out. 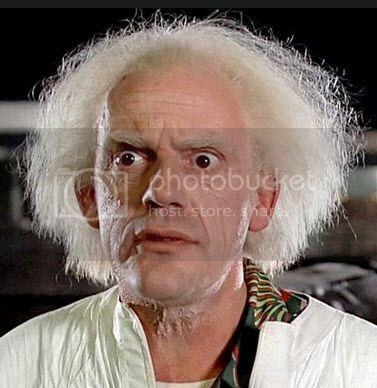 I remember he said the engine was "Renault Crap"
There's a Delorean website!! multiple locations around the world! !